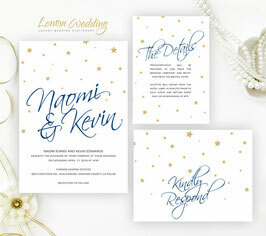 Gather everyone you love together for your wedding with our Gold and Navy Wedding Invitations. 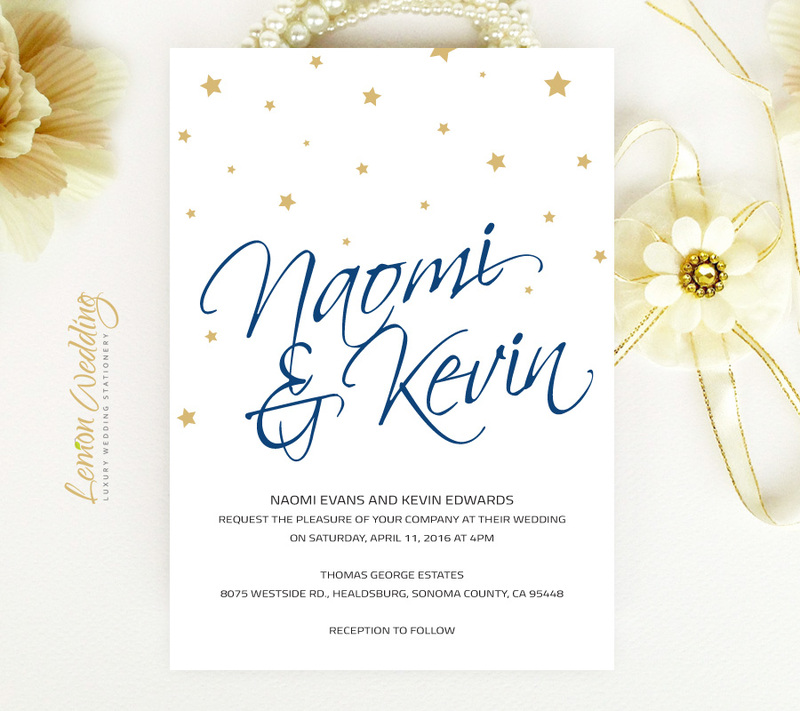 Our luxe wedding invites will provide your guests with the important details surrounding your glamourous wedding. 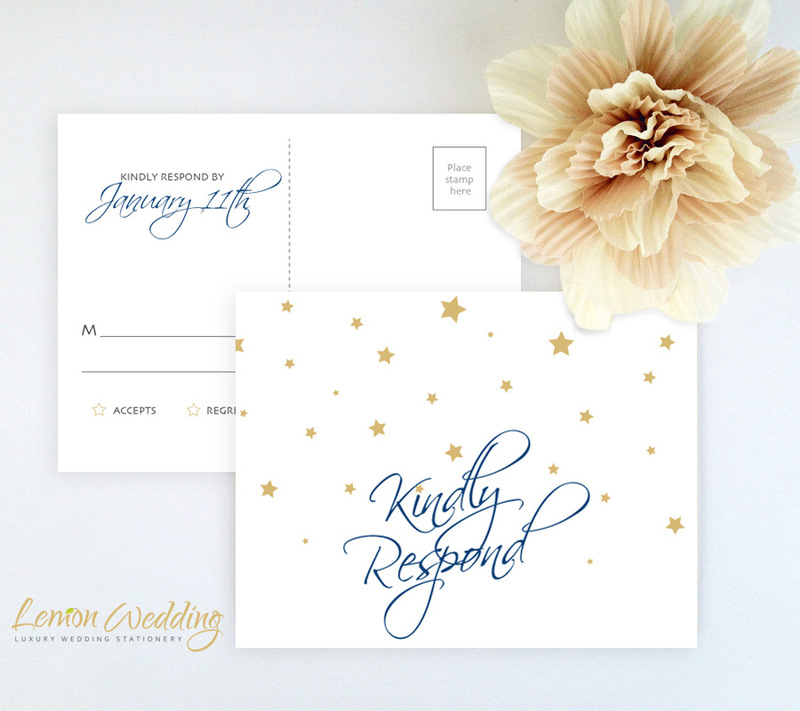 Featuring a gold design finished with deco style font, our invitation set includes invites, R.S.V.P postcards and extra detail cards printed on premium card stock.